QW.com: How did you get started in quilting? BS: It was 1990 and I was making doll dresses and oil paintings on wooden crafts like buckets and butter churns and sharing a booth at festivals with my father selling all sorts of crafts. I quickly got tired of making doll dresses and picked up a quilt magazine in August. I then joined a Guild and started the process of teaching myself learning from as many different avenues as I could. By December, I was president of the Guild and designed my first quilt (as a charity quilt for the Guild) for Ronald McDonald House. May 1991 rolled around and while at a festival I was asked to start a teaching program at a local fabric shop. I did a lot of investigating to see what was missing in beginning quilting world and made my Beginning Class comprised of 8 classes. My classes included all that I will be teaching in the video series, including 4 things that were missing in classes at the time: 1. Using the 1/8” marks on the ruler, 2. Using directional material, 3. Scant ¼” and the biggest of all #4 Squaring up. 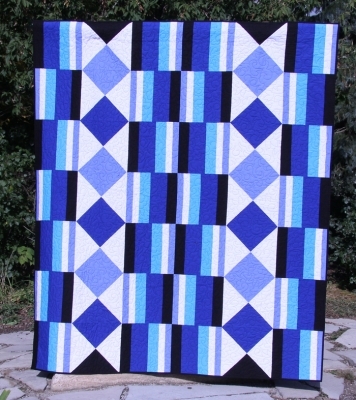 The Beginning Quilt Pattern will be offered along with the video series so everyone can learn and quilt along with me. I have taught this class to hundreds of students with wonderful results. Many students followed me with my “Quilting College” as we explored every avenue of quilting together including Introduction to Intermediate Quilting (also a pattern and will be a full quilt video series). QW.com: How long have you been designing for QuiltWoman.com? BS: I had just finished working at a shop in town as the manager for 4 years. They closed their doors and not much later, Nancy Dill the owner of QuiltWoman.com, opened her quilt shop doors and I went to apply for a job. During our talk, I was telling her that I only taught my own designs in my classes and I would love to take them to the public. She responded to me by saying, “I sure love to market, I love everything that end has to offer.” So we joked that we would make a perfect pairing and I left. e patterns out to the public. About 2-3 months later, QuiltWoman.com came up for sale and Nancy decided to purchase the company. The rest is history. Nancy and I are best of friends and beside me being one of her designers, we try to work together once a week bouncing ideas off of each other and inspiring one another on the creative side. 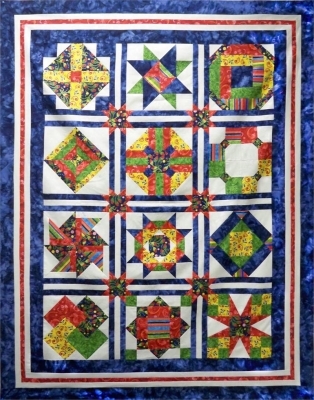 QW.com: What do you find the most challenging thing about quilting? How do you overcome that challenge? 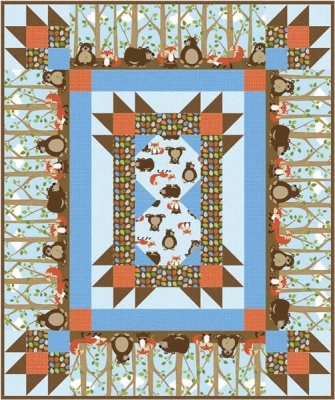 BS: The most challenging thing about my quilting journey was learning to use the computer and the programs that go along with designing virtual quilts. Again, I am mostly self-taught. Once again Nancy was always there cheering me on and being as helpful as she could. Perseverance was the key to success. My first pattern handed in to her was typed on a typewriter. I have indeed come a long way. 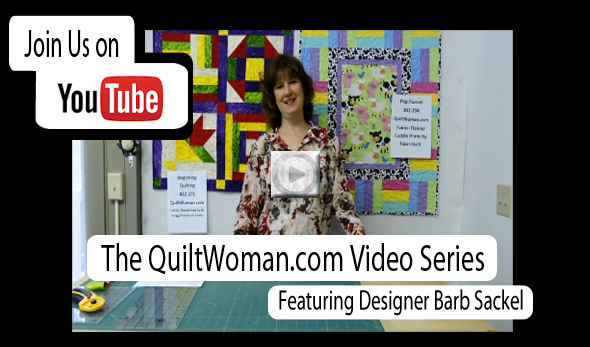 QW.com: You have a new series of videos that you have introduced that will be a QuiltWoman.com exclusive. Tell our readers more about that. BS: The videos will start coming out around the end of November or the beginning of December. As stated earlier, I will start with the Beginning series which includes such topics as Basic Quilting Tools, Identifying parts of a Quilt, (to take the intimidation out of them), Perfect ¼” seam allowance and Squaring Up. I always told my quilters that they should practice what they have learned in class so some of the quilt blocks will have a beginning pattern to go along with them to practice their skills. Of course cutting directional fabric and squaring up are on the top of my list for everyone to see. Directional fabric gives so much excitement to a quilt that I challenged all my students to always put one piece in their quilts. To this day, they are proud of themselves when they do because it is not always easy to do! QW.com: What do you think quilters most want to learn to improve their skills? Tell us how your videos will help with this? 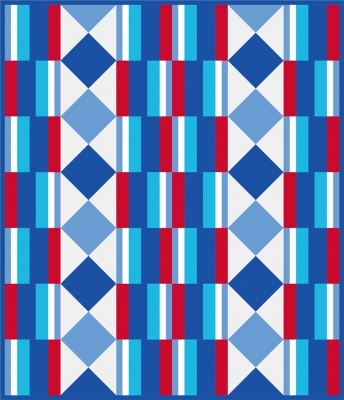 BS: I think what most quilters are looking for is a way to improve their quilting. Tips and Tricks are my favorite thing to share and they start with the basics. I had a class called “Back to the Basics” that was offered to all levels of quilters and it was a big hit. Everyone can benefit from going back to the basics and learning to increase precision and accuracy. After all, most of our quilts will be passed down to future generations and we want to be proud of them! We can’t wait to see what Barb has to teach us! Stay tuned! P.S. 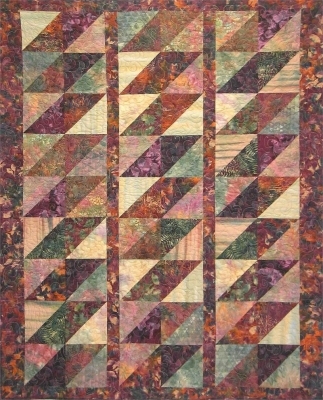 All of the quilt patterns shown here and on the video series can be found at on the QuiltWoman.com website. This entry was posted in Designers, patterns, QuiltWoman, Techniques, Video and tagged Barb Sackel, QuiltWoman.com, Rose Cottage Quilting. Bookmark the permalink.